Kitty is using Smore newsletters to spread the word online. 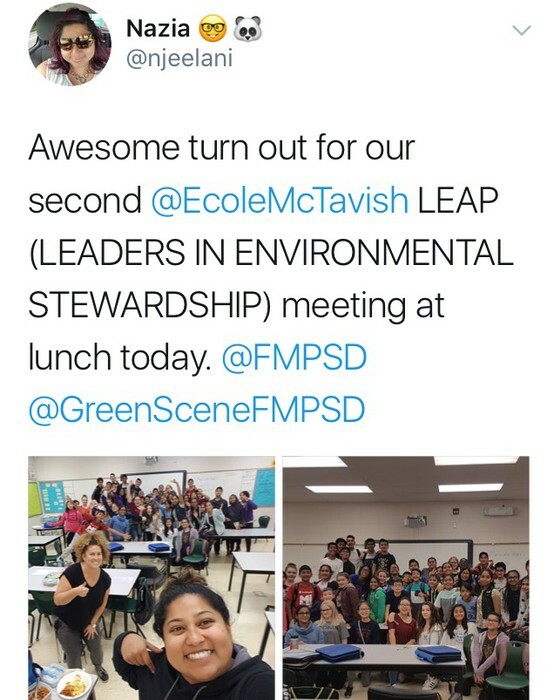 FMPSD: a leader with environmental education & initiatives. Join in! 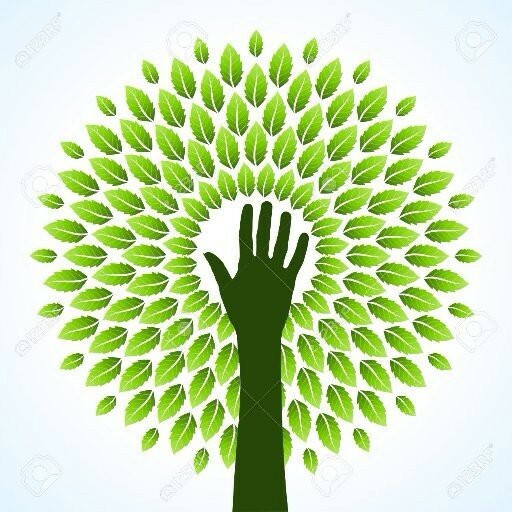 Friday, Jan. 19 PLF Getting Green! Join Kathy Worobec of Alberta Council for Environmental Education. 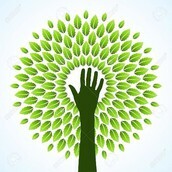 ACEE is an Emerald Award Winning organization supporting environmental education and action. All are welcome, either morning &/or afternoon. Lunch is provided. Through the initiative of Ecole McTavish students, and grants from Chevrolet and Intact Insurance, all the Grade 8 students from Ecole McTavish are helping to replant areas burnt by the 2016 fire. Thanks RMWB for the Green Teen program, and for all those who helped make this happen! 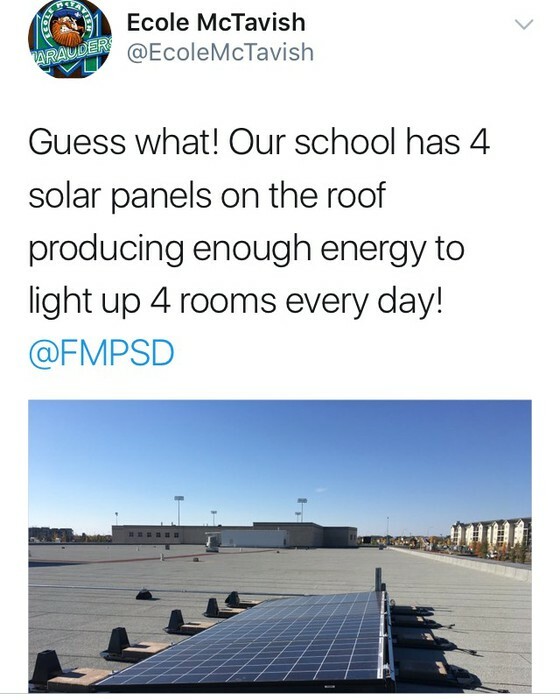 McTavish also installed solar panels on their roof this fall. They have a greenhouse, raised garden beds, a bottle filling station, and are working on indoor living walls. Special thanks to the amazing team of Ecole McTavish teachers. 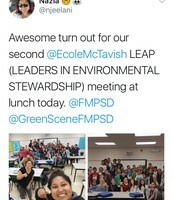 Way to go, McTavish! You inspire us all. 4 rooms off the grid! 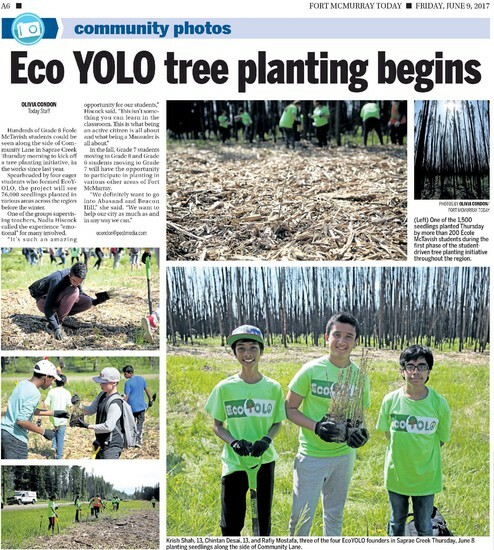 Krish Shah, Grade 9 Ecole McTavish student, was awarded a Governor General's Award for Volunteers, for his work with EcoYolo. 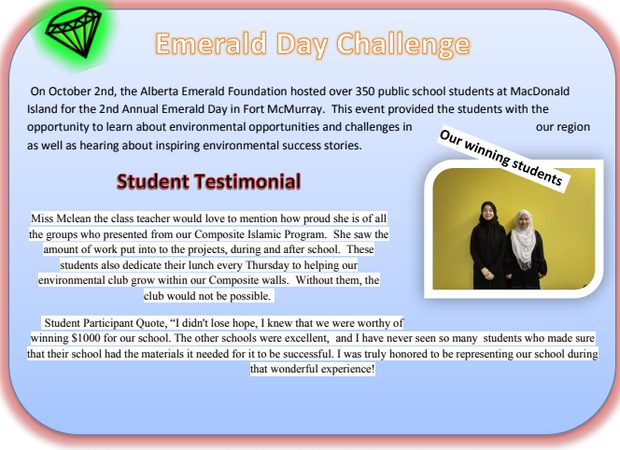 Emilie Giroux from Islamic School received a Green Guardian Grant and a $1000 grant from Conocophillips for a classroom compost program . 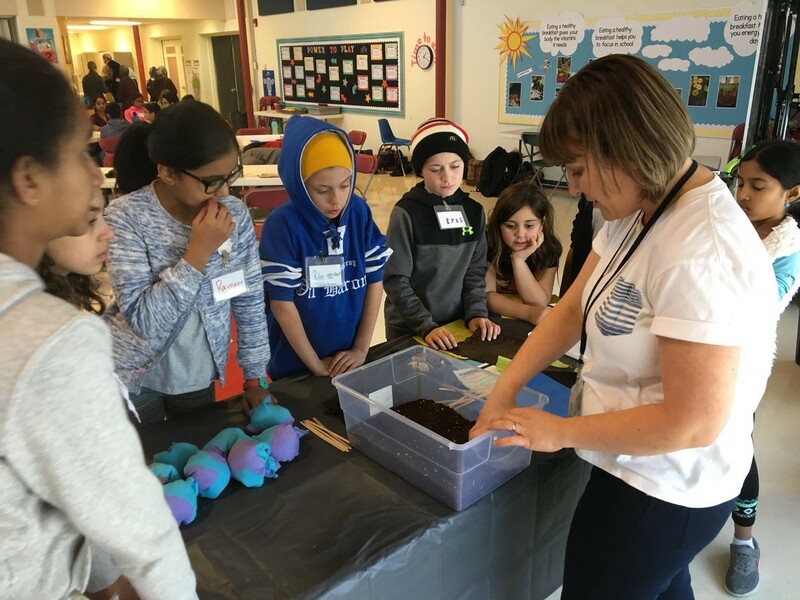 Her class Grade 5 wetlands adoption program will be highlighted in the annual Gov. of AB report on the invasive species program. Students at Composite High received an Emerald Foundation grant. 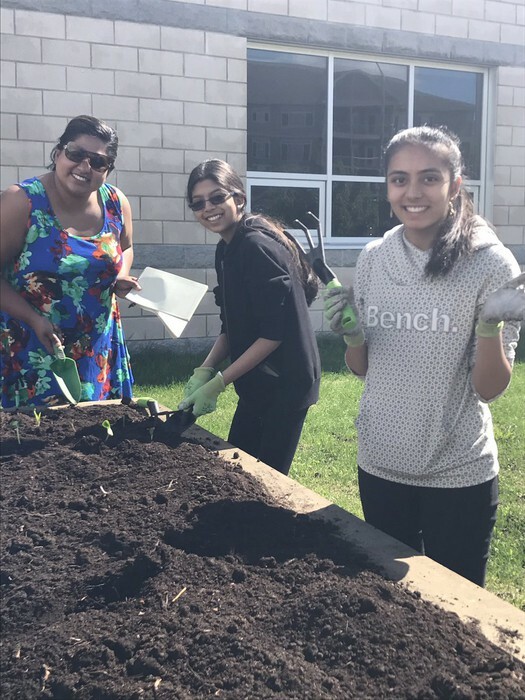 EnviroMentors with Grade 12 students buddied with Grade 4 students to teach about community environment and beautification over 5 weeks. 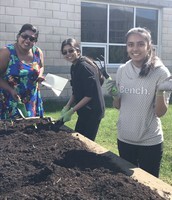 RMWB Green Teen program, with Jr. & Sr. High students implementing action projects that help improve the community. 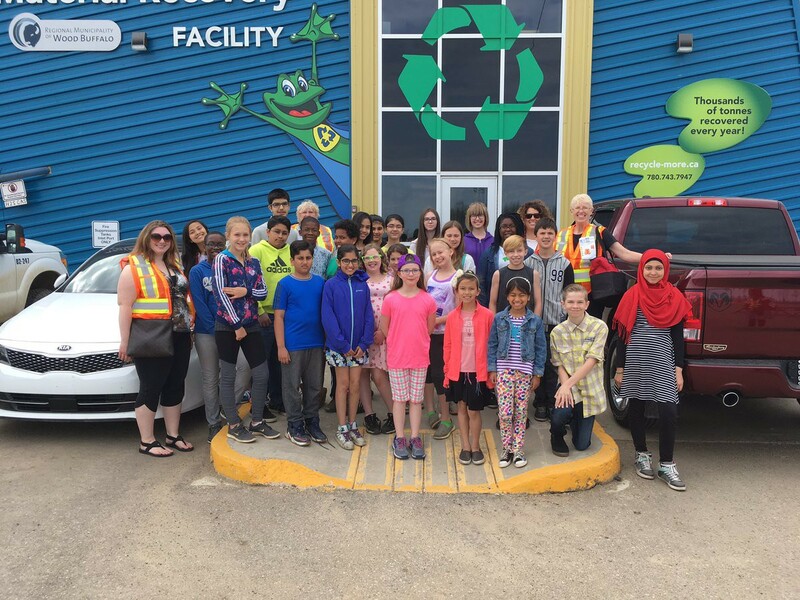 Destination Conservation teams of students from grades 4-12, are learning about waste reduction & implement projects to improve their schools. 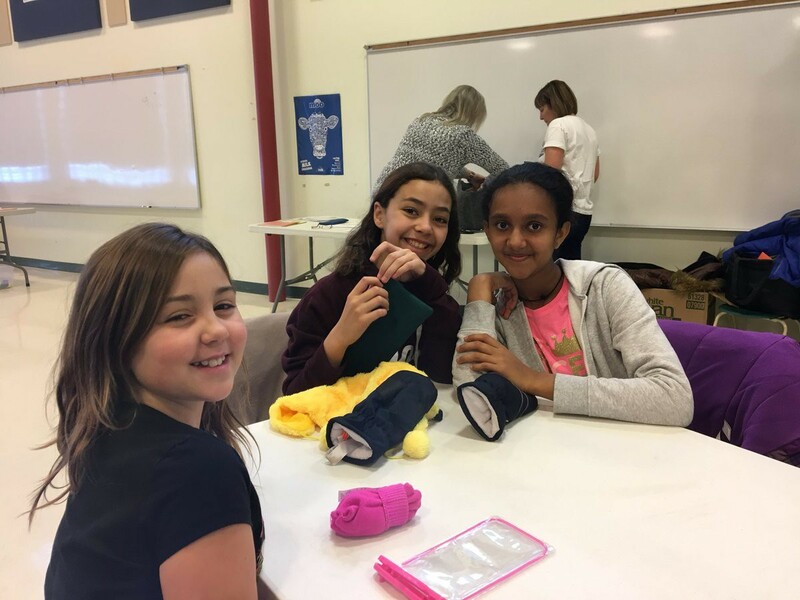 Students attended a day-long workshop this fall, with 2 more this year. Emerald Foundation hosted Emerald Day in Fort Murray Nov. 3, inspiring youth and adults with different initiatives by Alberta Emerald Award winners. 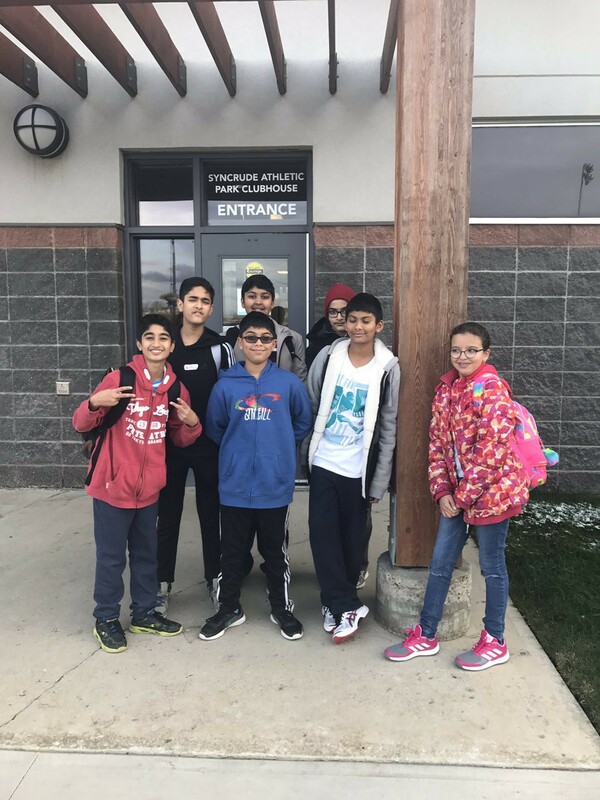 Presented at Keyano. Inside Education sponsored a Student Sustainability Summit attended by Jr. High & High students. 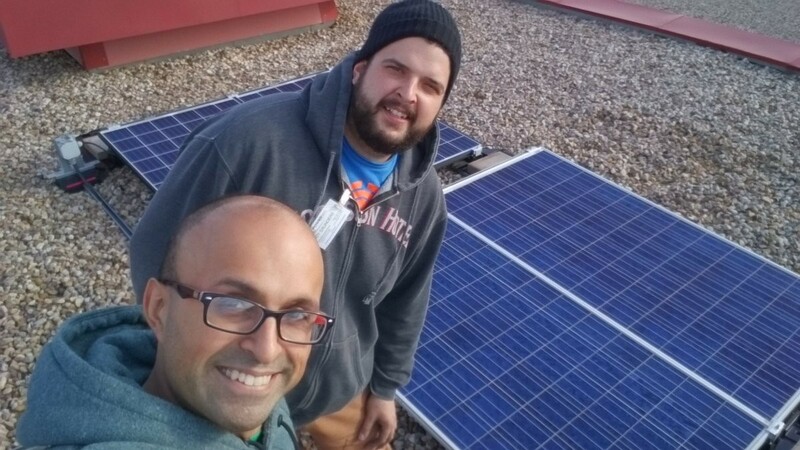 They saw a green home & buildings & heard inspiring speakers. 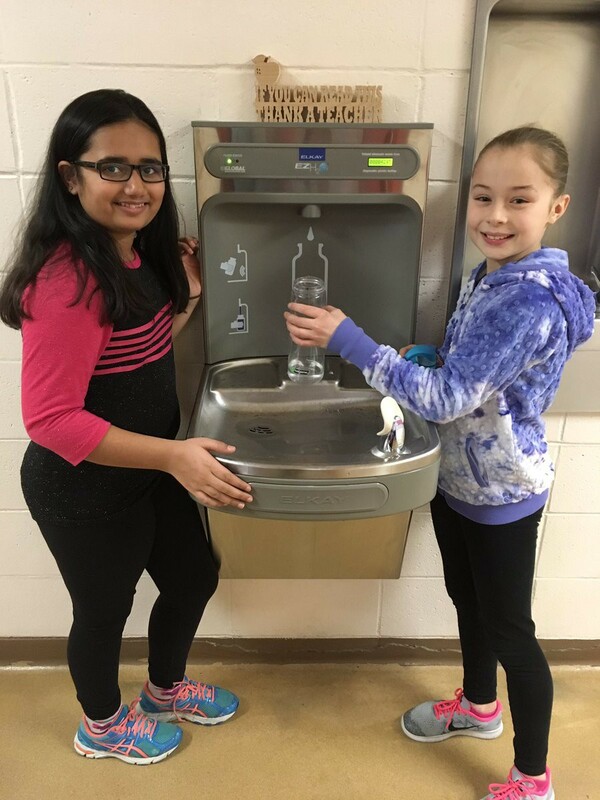 First bottle filling station! 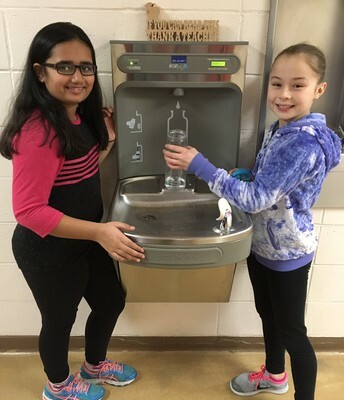 No bottled water available at that school! 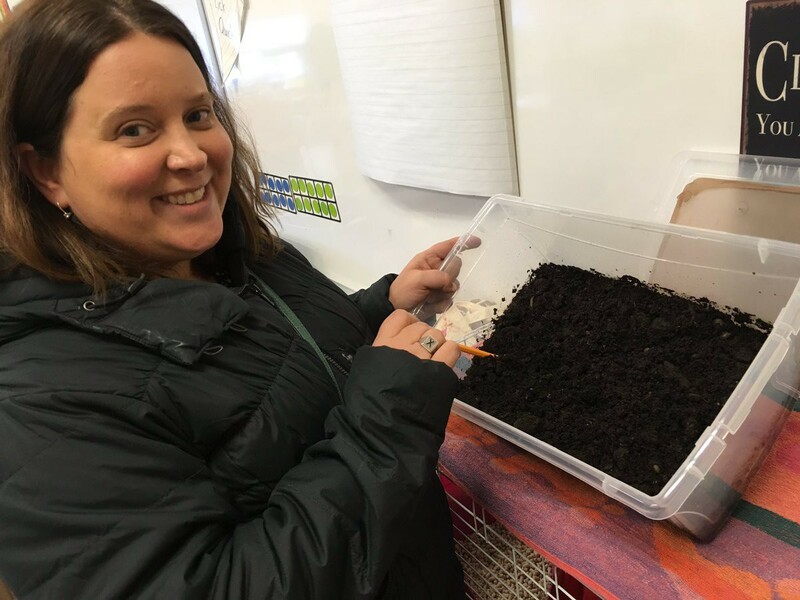 Cool composting isopods in Mrs. White's Reggio inspired classroom. 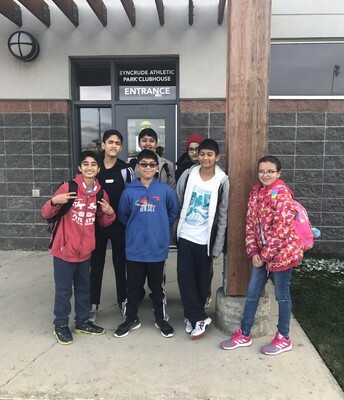 Class Presentations & Fieldtrips - Free! 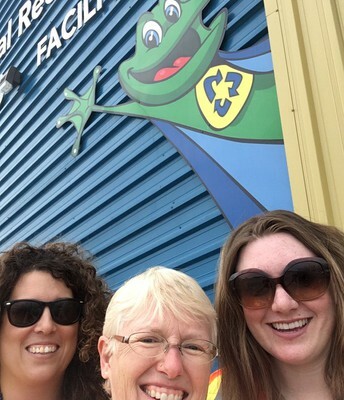 RMWB Landfill offers and excellent field trip opportunity. They divert 70% of waste at the site, and have a great educational centre. Green Scene Science Fair award winners went on a fieldtrip last spring. 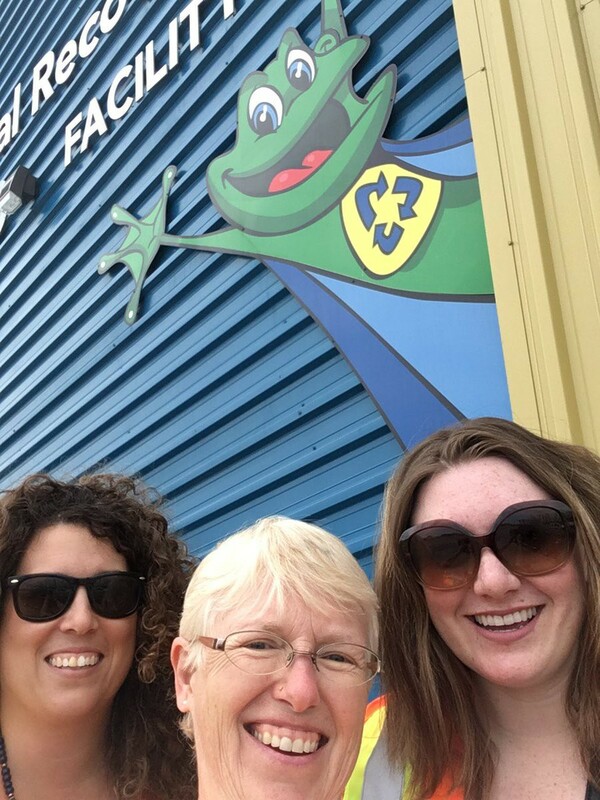 Shannon, Kitty & Aundrea at the RMWB recycling facility. EcoAmigos prepare their new composting program. 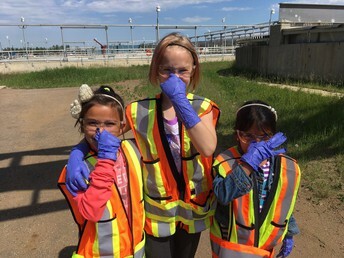 We are a group of teachers, CUPE staff, admin, parents and students of Fort McMurray Public School District, dedicated to environmental education and action. 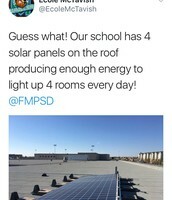 Making green happen!